Very nice bright apartment (facing South), functional and modern completely redone with great benefits. 48 square meters. You have a bedroom, a living room open to a large kitchen area, a modern bathroom and WC suspended. A bed 160x200 and two beds of 80x200 that can be joined to be one. 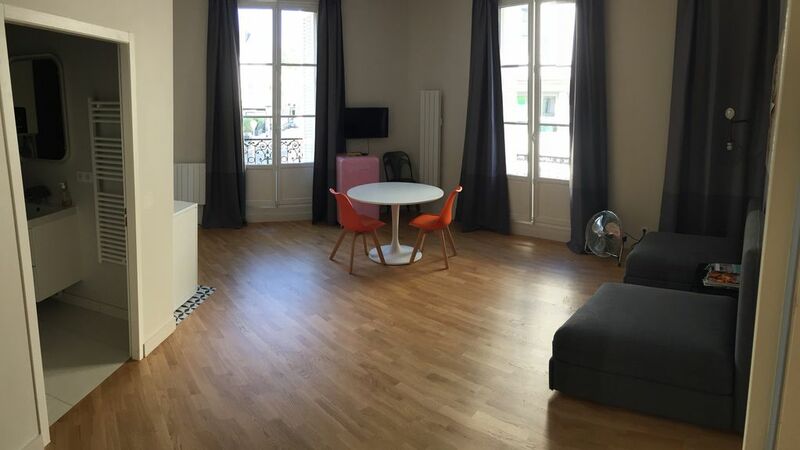 In the heart of town (close to the Rue Nationale and other amenities) while being quiet and close to the old Tours. Parking facilities. Car park: Paying outside. On the terminals or Whoosh! Mobile application. Parking Gambetta (50 meters): 10 € / 24 hours closed on Sunday. National Parking (200 meters): 17 € per 24 hours Parking Victor Hugo 500 meters: 6 € 24 hours. Free parking outside south of the street Entraigues (about 500 meters walk).